Ahoy me hearty and welcome to the first ever issue 12 of the Spirit Spotlight, the write up of the best spirits you can find at the Dial. Step aboard the taste ship as we go over to the Honduras, or rather the island of Roatan, where the pirates used to party! Roatan, was used as a pirates stronghold as a safe haven for trade in between plundering merchant vessels. It is here that a very rare rum is made; Pirates Grog. There are two different types of rum from pirates grog, the five year, and the 13 year. We are taking a look at the 13 year. 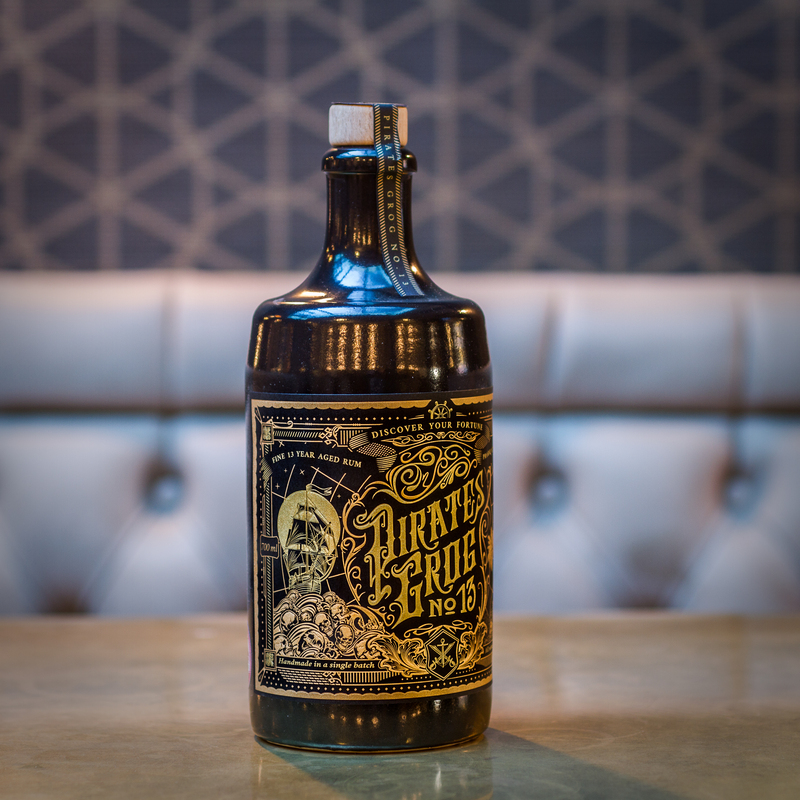 As you can guess, Pirates Grog 13 is aged for 13 years in American Oak Barrels and being aged for so long makes an exquisite rum, with notes of apricot, peach, white chocolate and vanilla. Once the rum has reached the maturity the first barrel only produced 777 bottles, making it a very rare product, a second batch has just been opened, this time from 2 barrels, so it is still hard to come by. The wait is worth it, and may well be one of the best rums you can try, everything about it is made with a lot of heart, the long maturing time and the eye catching premium bottle, with detailed label and crock bottle, have earned pirates grog numerous awards; including recently, award for best aged rum and best design. Stir with ice until the sugar is completely dissolved.